Haute Livings star author Sherri Balefsky reported about the Royal Donation by His Highness Dr. Mario-Max Prinz zu Schaumburg-Lippe for the charity event of the year in Miami. On Saturday, Dec. 4, more than 300 guests joined the high-end interior design company Baltus Collection at their showroom in the Design District for a special charity event for Care Resource, a non-profit organization dedicated to raising money for AIDS/HIV treatment in South Florida. Guests sipped on Chambord Vodka cocktails, tasted hors d’oeuvres by the up and coming Baltus-designed restaurant Mare Nostrum. 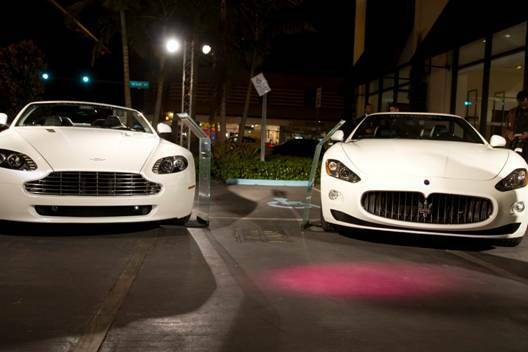 Guests were also lucky enough to get previews of 2011 Maserati and Aston Martin, courtesy of The Collection. But the highlight of the evening was the silent auction, which featured one-of-a-kind throw pillows, each designed by a different celebrity, designer or artist. Celebrity designers included Sarah Silverman, Alec Mapa,Joey Fatone, Nathan Lee Graham, Valerie Pattiford, Prince Mario Max zu Schaumburg-Lippe, Miss UniverseAmelia Vega, Broadway’s Heather Russell, artists Wyland and Luis Valenzuela, 3-D graffiti artist Erni Valdes, “Project Runway’s” Althea Harper, and local fashion designers Karelle Levy, Red Carter and Martha Rey.